This was a much appreciated day of rest. Showers rumbling through the area presented the perfect excuse for staying indoors and relaxing aching muscles and a weary body. Find a new creative series to watch on Amazon Prime. I enjoyed watching the Amazon Prime series Mozart in the Jungle so much. I’m caught up on Mozart, and I was excited to draw this arrow of desire so that I could find a new series to watch. 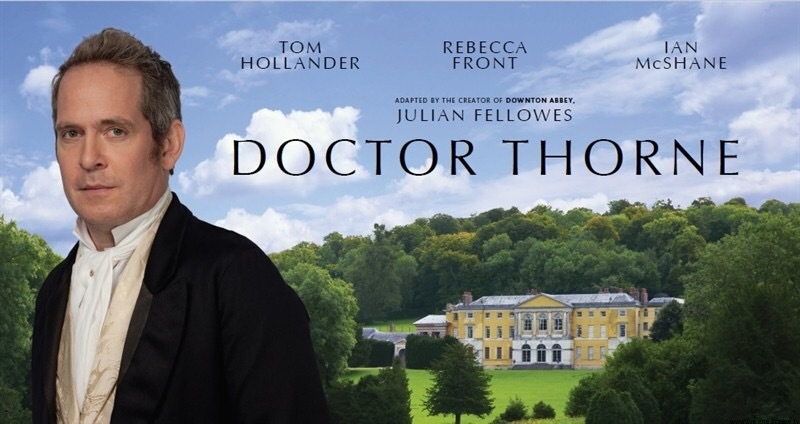 Doctor Thorne, based on the novel by Anthony Trollope, stars Tom Holland, Stefanie Martini, Harry Richardson, Rebecca Front, Richard McCabe, Alison Brie, Ian McShane and Phoebe Nicholls. The historical drama is directed by Niall MacCormick and each episode has a run time of 48 minutes. The setting is Victorian England. Julian Fellowes, who created Doctor Thorne, is also the creator of Downton Abbey. Episode one introduces Dr. Thorne (Holland) and his young niece Mary (Martini). Mary has lived a simple and happy life with her uncle. However, life becomes more complicated as she enters her 20s. She has grown up interacting with the Greshams next door, who until now have overlooked her lack of family and wealth. But when Frank Gresham (Richardson) shows romantic interest in Mary, his parents, Sir Gresham (McCabe) and Lady Arabella (Front) are appalled. They insist that Frank marry for marry, to save the family home and name, and to pay off enormous debt owed to scoundrel Sir Roger Scatcherd (McShane). Frank is sent to his match-making aunt, the Countess de Courcy (Nicholls). She encourages Frank to pursue a wealthy young American woman, Miss Dunstable (Brie). Missing Frank and realizing she isn’t considered worthy of marrying him, Mary confronts her uncle about the mysterious circumstances around her birth. Is she truly a Thorne? And what happened to her mother and father? This was a fun period piece to watch this evening. 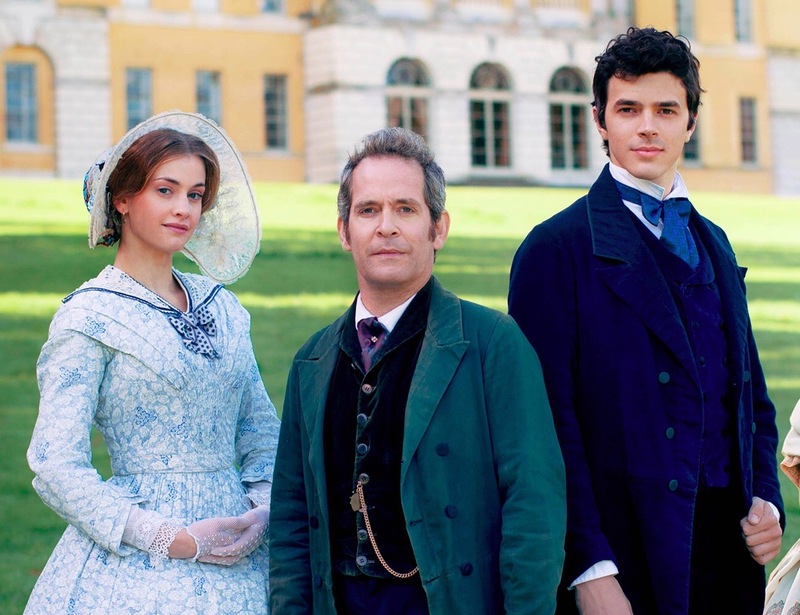 While a Victorian era series can be heavy on the drama, Doctor Thorne has a great cast of interesting characters who interject humor into normally serious situations. I was captivated and look forward to watching more episodes. 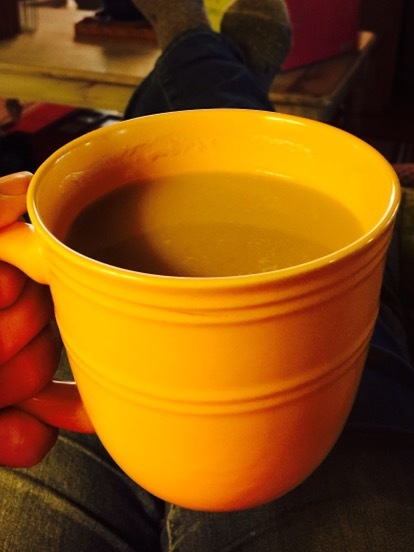 The best way to enjoy an English series…with a cup of hot tea. As I thought about tonight’s episode, I wondered why I am drawn to these shows that are set in the past in England and Scotland. This is the target the arrow of desire urged me toward. Historically accurate, or not, what is central to all the stories that I love is a strong female character. In spite of expectations from family, friends and society, she is in the process of discovering who she is and living as that person, which means she is unconventional. Often there is more to the woman than she yet knows, which is certainly true about Mary Thorne. The journey becomes seeing and accepting herself as the person she truly is. In the great stories the heroine usually discovers that she is actually a princess or an heiress. I have yet to discover that either of those two things are true for me! But my journey has been about seeing and accepting myself for who I am as well. It has been about owning my uniqueness and banishing my fears and limiting beliefs. I identify with these strong female characters because I recognize that our journeys are similar, and crucial for reaching that most sought after gift…a happily ever after. I can say that I have that. I have found the happiness that I sought. It was within me all along. My journey now is to live fully in that joy and happiness and walk alongside others. I’m looking forward to seeing what Mary Thorne discovers on her journey.